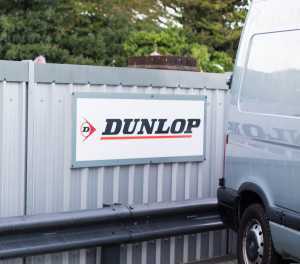 Tyresavers (UK) Ltd are pleased to be a supplier of Dunlop tyres. With 125 years of experience, Dunlop have become a well respected and innovative tyre manufacturer that are always recognised for producing high quality tyres guaranteed to offer long-lasting, outstanding performance. Dunlop focus on increasing road grip and car handling with their patented asymmetric tread design, producing a variety of high performance tyres to suit any car and terrain. Tyresavers (UK) Ltd carry an extensive range of Dunlop tyres, offering their high performance and innovative technology to customers in Essex at very competitive prices. Our team of expert fitters offer a wide range of services to ensure the safety and comfort of our customers, including tyre repairs, run flat tyre repairs and wheel alignments, all at affordable prices. For more information on the range of Dunlop tyres we carry, or any of our other services, get in contact today.